Cancer left holes in Juliann Sutton’s life. First, the disease took her husband. Then it claimed her brother. She saw firsthand how modern medicine struggled in its ongoing fight against the illness. So she came to Cuyahoga Community College (Tri-C®) to join the search for a solution. Sutton graduated this summer from the College’s cancer registrar post-degree certificate program. Cancer registrars are medical information specialists who track patient cases and collect data that may lead to a cure. An online search introduced her to the National Cancer Registrars Association and a recommendation that she consider Tri-C’s program. The College has one of only nine accredited certificate programs in the country. Her time at the College included a practicum with CHAMPS Oncology in Cleveland. 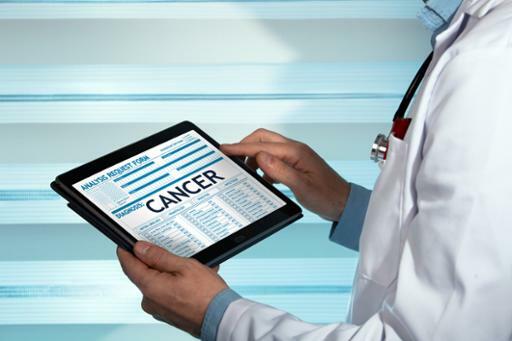 The medical data analytics company works with health care providers across the nation to improve the quality of patient care and cancer treatment programs. CHAMPS recently profiled Sutton, who worked alongside three of the company’s certified tumor registrars (CTRs) at Cleveland’s MetroHealth Medical Center to gain firsthand clinical experience. “Everything I learned in the classroom — especially my database training — applied in the real-world setting,” Sutton said. CHAMPS extended Sutton’s time with the company beyond her practicum as she prepares for her CTR exam. The self-proclaimed “data junkie” said her long-term goals include analytics and research work.